Justine is a seasoned EMEA channel veteran with over 25 years experience working with start ups. 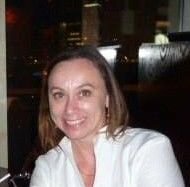 Justine has held Director roles at ShoreTel, Zultys and in recent times Watchful Software. Her passion is to work from a clean sheet of paper and build the out a successful partner community across EMEA. Her market knowledge is across Unified Comms and Security - working with and alongside partners in over 80 countries. Justine is based between the UK and Germany.